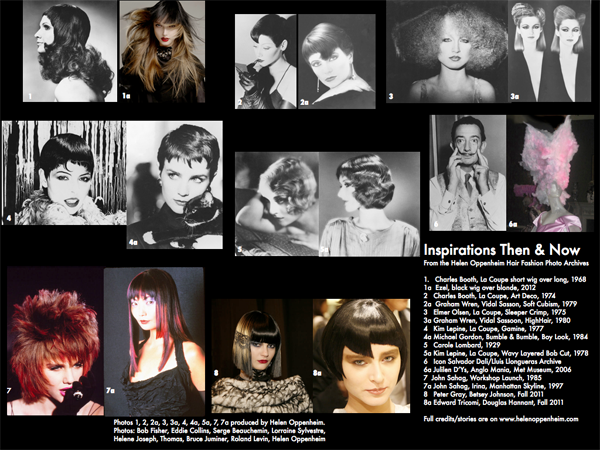 Posts Tagged "Collage Website Photos"
Home » Posts Tagged "Collage Website Photos"
Collage of some of the over 4,000 photos on Hair Fashion Photo Archives, the Website Like No Other, from then and now. Then being the 60s. Now being 2011, when I did this collage. (Of course, there are many great new photos since 2011.) Full credits and stories are archived on this website. Be inspired. If you read as well as look, there are some amazing inspirational words, how-tos, some videos, under many amazing photos.